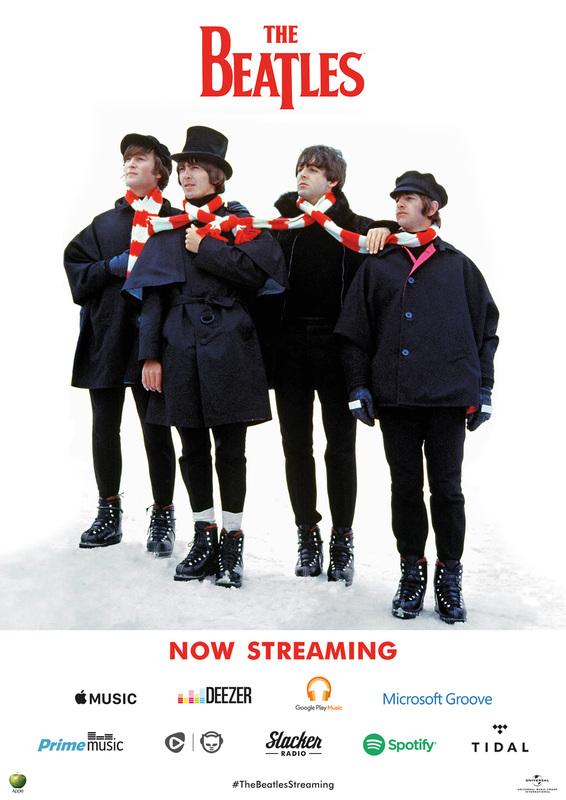 It's been a long and winding road to get the Beatles on your devices and streaming services, but you've finally reached your destination and the iconic band has given in to demand. Sadly two members of the Fab Four won't be around to experience this blockbuster event, but you can still enjoy the magical mystery tour of the group's catalog of hits and more obscure songs. At 12:01am local time on December 24th the Beatles music officially launches on streaming services Spotify, Apple Music, Slacker, Tidal, Groove, Rhapsody, Deezer, Google Play and Amazon Prime. The band's website is even providing a globe-style tracker to let fans monitor the progress of this momentous launch event. You can follow the festivities here. The timeline will move from east to west as you await the availability. In other words, it will gradually happen here, there and everywhere, you just have to wait your turn. The Beatles aren't entirely a stranger to having music online as they have dealt with Apple in the past, but this is a much bigger deal as it's streaming and not exclusive to one company. In the end you can finally stroll down Penny Lane at your leisure or join a lonely heart's club band and you don't need to be a walrus or raccoon to get in on this.